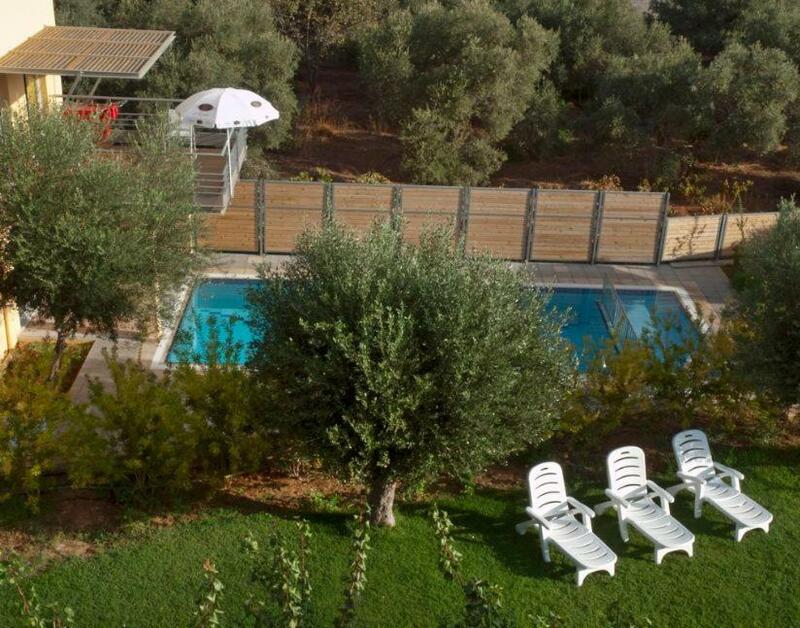 Very nice private pool and beautiful garden with lovely olive trees and flowers full of butterflies. 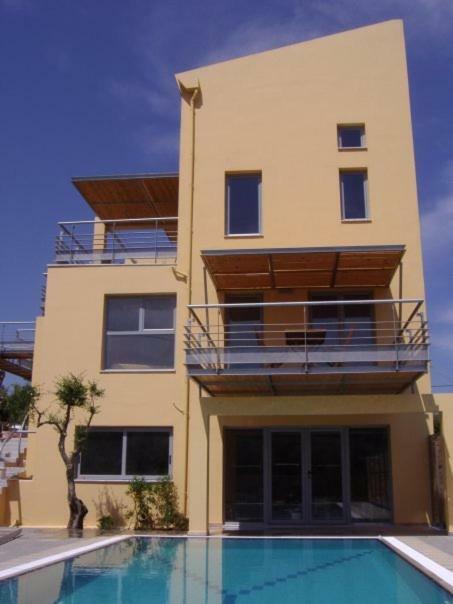 Not far from nice beaches - walking distance and very good with kids. Good restaurants and supermarkets around the corner. Apartment cleaned every day. Host is super friendly and very helpful. We felt extremely welcome. Not a single bad experience on Crete.Everything very well organised. The most hospitable people in the world if you treat them with respect. Location, comfort, little things provided such as washing up liquid and sponge. Friendly host. 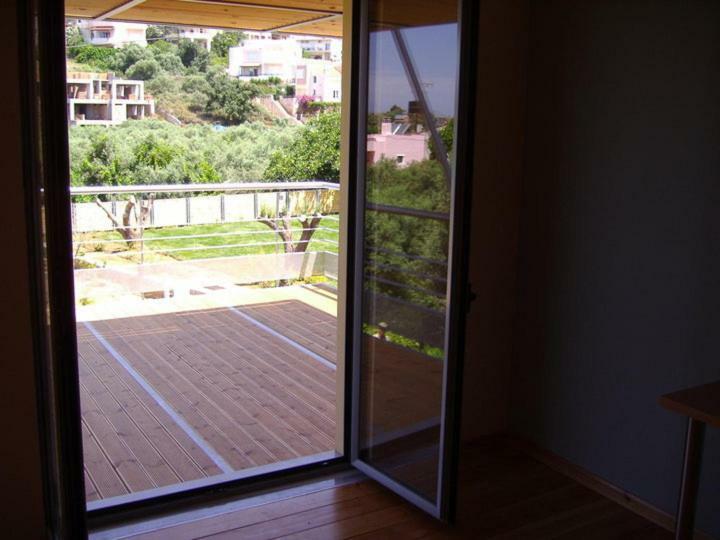 close to the beach, restaurants, shops and bus station, at the same time there's a view on garden and the location is far from the noisy streets. Very good for calm family stay. Очень хорошо! Пляж в пешей доступности, рекомендую Пиранья - если смотреть на море, то это самая правая бухта. Сам дом расположен в достаточно тихом место. Есть веранда - балкон, мы с удовольствием там завтракали. В целом придраться особо не к чему. Все что нужно, автобусы, магазины - найдете буквально за углом. Уборка каждый день. Het is een heerlijk ruim appartement. 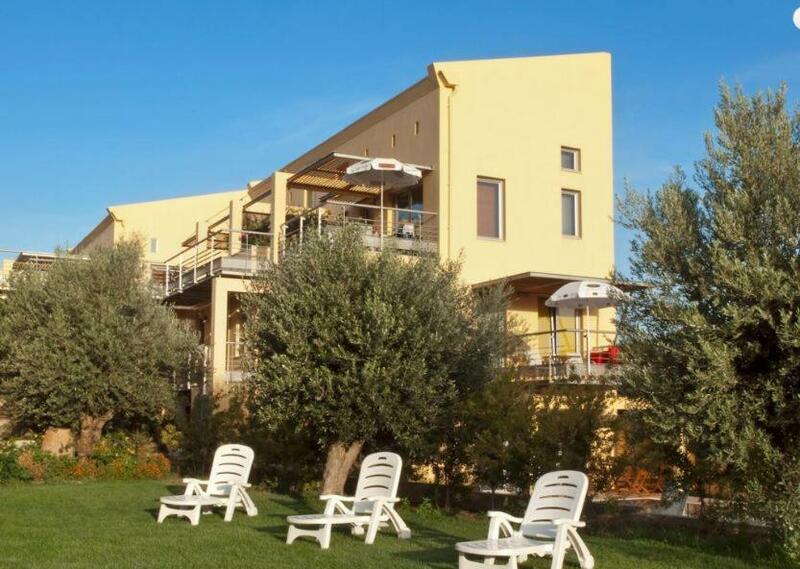 De locatie is top: dicht bij mooie stranden, twee grote supermarkten, een aantal taverna's en bushaltes voor de bus naar Chania. Het is een prima plek voor mensen die rust zoeken. De gastvrouw is bijzonder hartelijk. Bij aankomst werd ik getrakteerd op een heerlijk zoet taartje. In mijn appartement trof ik nog allerlei traktaties aan, zoals vers fruit, raki en bloemen uit de tuin. Super! Ik ben hier echt tot rust gekomen. В нашем номере на первом этаже был прекрасный тенистый всегда балкон, на котором было очень приятно и завтракать и обедать и ужинать. Пять минут пешком до хорошего уютного пляжа, на котором есть все. И душ, и туалет, и спуск в воду для инвалидов, и тень от деревьев. Некоторые ставят под деревьями палатки. Иногда попадается мусор на пляже. От апартаментов до двух хороших супермаркетов тоже пять минут пешком. Очень удобно использовать как базу для поездок по западу острова. Спать было прекрасно, очень тихо. Апартаменты находиться на тихой улице. Ночью только лай собак был слышен. 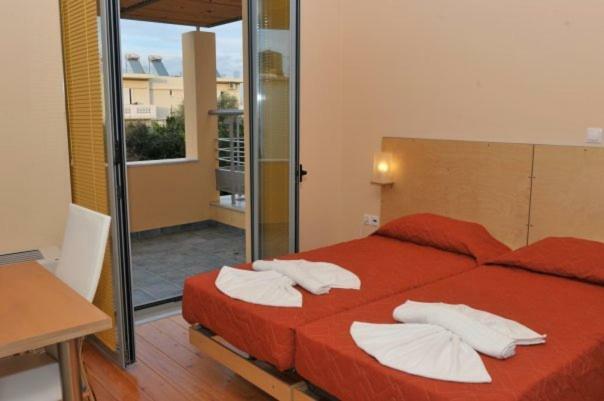 Lock in a great price for Sorta Apartments - rated 9.4 by recent guests. One of our bestsellers in Kato Daratso! 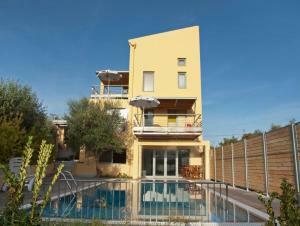 Surrounded by olive groves and lemon trees, Sorta Apartments is a modern building with an outdoor pool and sun terrace. It offers self-catered accommodation and free Wi-Fi throughout. Agioi Apostoloi Beach is around 350 yards away. 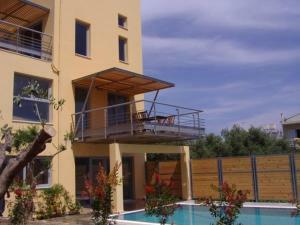 Fitted with wooden floors and light-coloured furnishings, all air-conditioned apartments open out to a balcony with garden and mountain views. Each features an open-plan kitchen, fully equipped, a living room with TV and dining area. 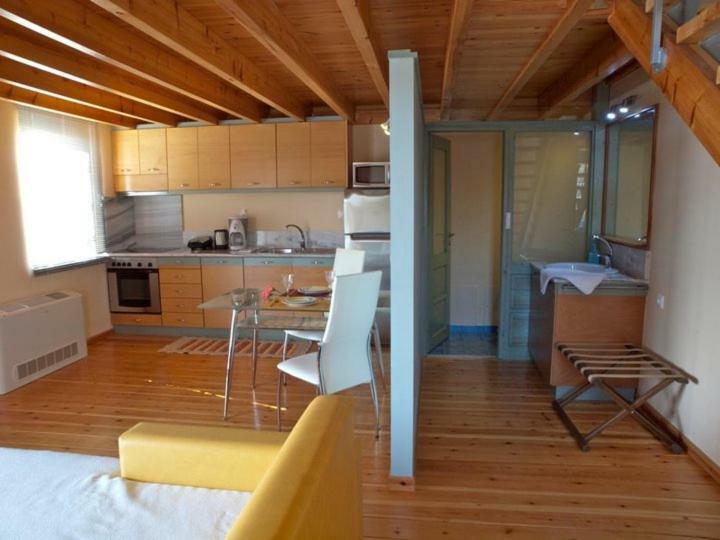 Some apartments are split-level with an attic bedroom. 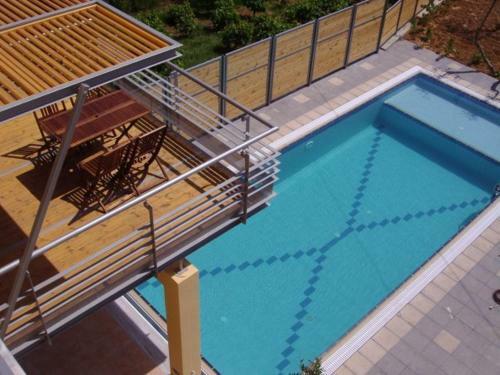 Guests can find several restaurants, bars and super markets within short walking distance from Sorta Apartments. Chania Town is at 2.5 miles and Souda Port around 6.2 miles away. A small exhibition of old motorbikes is displayed within the premises. Sorta Apartments has been welcoming Booking.com guests since 23 Jul 2012. When would you like to stay at Sorta Apartments? House rules Sorta Apartments takes special requests - add in the next step! Please inform Sorta Apartments in advance of your expected arrival time. You can use the Special Requests box when booking, or contact the property directly with the contact details provided in your confirmation. Beds were a bit too hard for me and air conditioning is quite old and noisy. Many dogs in the area who barked a lot at night. Didn't bother kid and husband but I am a sensitive sleeper. I don't think it is necessary to change the towels and especially the bed linen every second day. Too much effort and too clean. But overall I can really recommend the accommodation for families. It's not totally overrun by tourists and very pleasant. I really wish there was more waste separation and less plastic on Crete. The island is so beautiful and nature is still intact with so many insects and butterflies and the waste disposed on remote beaches or in the middle of beautiful olive trees is killing me. I think if nothing is done to control the garbage - especially produced by tourism - this might influence tourism in the near future. Green and sustainable tourism would attract different travellers and not masses of ignorant party tourists. Another issue are the numerous unfinished building sites on the island. Stricter laws to limit uncontrolled building could help. Crete is way too beautiful for that.